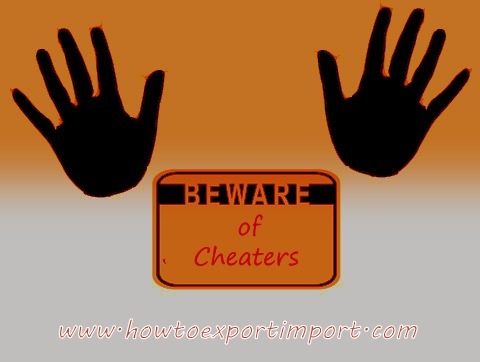 How to know the quality, quantity or contents of goods before import customs clearance? This article is an interesting one for any importer – How to know the quantity, contents or quality of goods before import customs clearance to take delivery? I suspect my supplier on an import consignment he shipped to me. I doubt the said exporter on quantity and quality of goods he supplied. Are there any arrangements at importing country to examine goods before I take delivery of imported goods? Before customs clearance, can I reject goods if imported goods are not satisfactory to take delivery? A legal document called bill of entry has to be filed with customs department for any goods arriving from other country. The cargo has to be value appraised. In certain case of imports, the importer does not know the exact quantity or quality of goods received from his overseas buyer. Or in some other cases the importer may have a dispute or suspect on quality of goods arriving. The importer complete customs clearance and take delivery of cargo to his place means he has taken ‘delivery of goods’. Once delivery has been taken by importer, the seller/supplier/exporter has very less obligation on such consignment. If an imported consignment has been taken delivery, it means, the importer/buyer accepted the goods. So, before taking delivery of goods or before completing import customs clearance procedures, importer wants to confirm on the quality, quantity or contents of the consignment shipped by his overseas supplier. Here, an importer can approach concerned customs appraising officer and request for ‘first check appraisement’. If Bill of Entry is filed manually – without electronically - the importer or their customs broker completes the ‘entry procedures of import’ and requests the concerned customs appraising officer to mark ‘open examination order’. After obtaining the necessary open order from the appraiser, the customs broker or importer approaches the concerned customs personnel to inspect the cargo. If Import Bill of Entry is filed electronically importer can request concerned customs officials for a first check procedures of value assessment. The goods are inspected completely or partially as per the requirements, and prepare report on examination of goods. The Samples of commodity is drawn for quality check, if the importer or customs needed. Once after confirming and satisfying the quality, quantity and contents of consignment, the importer proceed further in completing import customs clearance procedures to take delivery of cargo. If he is not satisfied with the goods, he informs his overseas supplier about his dispute. If dispute could not be settled each other, the cargo is abandoned ‘un cleared’. Once after completing the reporting of inspection either electronically or manually if no electronic filing system available, the appraisement procedures are carried out. The importer takes delivery of cargo after payment of duty if any. In second check appraisement, the examination of cargo takes place after value appraisement. Once after filing Bill of entry by CHA or importer, the document transfers to value appraiser. The concerned value appraising group asses the value and appraise the goods after verifying the necessary documents submitted. Once after completion of appraisement of goods, the goods are inspected. I hope, this article helps importers those who were not known about first check appraisement procedures till reading my article. I hope these information help buyers of international trade to stop accepting goods if not satisfied with quality, quantity or contents of imported goods supplied. Also I hope, this article helps importers to know about the arrangements at importing country to examine goods before taking delivery of imported goods. Do you wish to add more information about this subject – How to know the quality, quantity or contents of goods before import customs clearance? Share your experience in rejecting cargo at final port or destination before import customs clearance due to poor quality, quantity or contents of imported goods. Comment below your thoughts about this article - How to know the quality, quantity or contents of goods before import customs clearance? Also read - What is self assessment in import customs clearance in India? Is Risk Management System (RMS) simplify import? What is RMS in import. Nitin Jikamade : On 12 February 2015 I have read your web side www.howtoexportimport.com and lot of clear my doughts. I have need some help form your side .We have done export pharmaceutical products in year 2012 to Ukraine country. We have received payment of the same cargo from buyer .We received benifits of Drawback from customs & FMS license from DGFT. Also used our excise bond of CT1 for dispatch the product expiry date is june 2014. Now due to some reason our customer rejected our goods and now we want to re- Import the same good and destroy the in India. I request you to pls.suggest me the procedure need to follow. Ravi: On 26 March 2015 Dear Sir, I have read your article "Import customs clearance procedures in India". It really helps new importers like me with a check list. We have another issue, the products that we are importing are cotton sanitary napkins etc. I am told, we need to take an approval from "textile committee" for importing. I am also told to get this approval, we need atleast 7-15 days when the items are landed in India and this approval is done before the customs clearance. 1) Can you help us with more details on this issue, such as who are this agency? 2) What is the cost of holding the goods in ICD for more than 2-3 days? Padam Singh Rathore : On 08 July 2015 i want to import pancake mix powder from China, where i can check ingredients HS CODE, or is there any agent who can help me to find HS Code or help me to import pancake mix powder from China. S K: On 12 February 2017 Hi, i am confused that in First Check, the check is done by the importer to satisfy himself about the quantity/ quality of goods or the importer requests Customs to check quantity and quality of goods ?? Ramesh: On 19 March 2017 I am an Indian agent for a overseas supplier (S). My customer(C) in India who has imported directly from overseas supplier, claimed to have received a short quantity (lesser than mentioned in import documents- BL,Invoice,packing list) when he received the material at his warehouse. Is there a way to track at what stage the quantity was short/ lost.. at supplier end or during shipping or during transit from port to customer's warehouse ? yadav.aman: On 17 July 2017 how to check quality of my material.thia is ok pr not. because my sample ia ok.and in my first deal my payment term is lc at sight. i am safe for payment mode but i am confused in quality.